German chemicals giant BASF said Tuesday a restructuring, expansion and a worldwide economic rebound should help it to a stronger 2019, after its bottom line last year was battered by headwinds for vital customer industries and for global trade. "Last year was no easy year," chief executive Martin Brudermueller said. "Geopolitical developments and trade conflicts burdened the economic situation, and even the Rhine river took a bite out of our bottom line." BASF pointed to a "slowdown in key markets, especially the automotive industry", where car production faced bottlenecks linked to new emissions tests in Europe. Demand from China also fell, in part because of Beijing's trade showdown with Washington. And a hot and dry summer in Germany hobbled waterborne shipping to the group's Ludwigshafen HQ as water levels fell in the Rhine, while an important plant only resumed operation in the second quarter following a fire in October 2017. Newly-acquired agrichemical businesses bought from Bayer also braked performance, joining the group in the second half of the year—after most seed providers make the bulk of their profits. BASF managed to defy the blows to some extent by adding 2.4 percent to revenue, at 62.7 billion euros—slightly higher than forecast by analysts—although operating, or underlying profit fell 20.5 percent, to 7.6 billion euros. With no immediate end in sight to any of the factors that dragged on 2018's result, "our planning for 2019 is certainly a challenge," Brudermueller said of the group's aim for "slight" lifts to sales and operating profit before special items. But the trained chemist said he was confident that a stronger second half to the year would follow a "very difficult first half-year", powered by a friendlier external environment and an efficiency drive within the company. BASF's cost-cutting "excellence programme" would be "sped up", he said, roughly doubling the 320 million euros in one-off costs booked in 2018 but creating structural savings of 500 million euros per year. As for the US-China trade conflict, "I think we're seeing already that they're feeling the effects in their own ranks," Brudermueller said. "We expect that in the next few months there will be relief here or there." And in the car industry—BASF's largest customer sector—the group also expects an improvement after the steep plunge in late 2018 and early 2019. BASF was "uniquely" positioned in Europe to supply the materials for massive numbers of batteries needed to power future fleets of electric cars, Brudermueller pointed out. Looking further ahead, the CEO highlighted BASF's expansion plans in Asia as a way to profit from future growth in China and other emerging economies. The group has entered a joint venture to produce ethylene in Nanjing with oil company Sinopec, and wants to build a massive 10-billion-euro chemical plant in Zhanjiang. Elsewhere, BASF has reorganised its divisions, merged its paper and water chemicals unit with US-based Solenis and hopes to tie up its Wintershall oil and gas subsidiary with Luxembourg-based LetterOne ahead of a stock market flotation. Construction chemicals and pigments were other business areas that could be sold off or merged with outside firms, Brudermueller said. 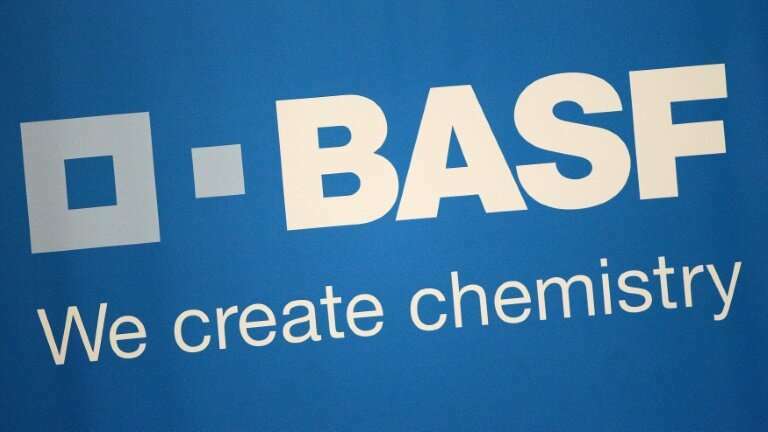 Investors welcomed BASF's results despite the falling profits, with the stock gaining 3.8 percent in Frankfurt to trade at 67.22 euros by 12:20 pm (1120 GMT). BASF said it would offer shareholders an increased dividend for last year of 3.20 euros per share—up 10 euro cents on 2017. Basotect melamine foam is a great cleaning product.